The conferences are organised in collaboration with the Technical Chamber of Greece (TEE), Hellenic Navy, Attiko Metro, and will take place in Athens on Saturday October 21, 2017. We will have the honor to welcome as Keynote Speakers of the conferences ASHRAE Presidential Member Thomas Phoenix, Research Policy Officer of the European Commission DG Research & Innovation D3. Advanced Materials and Nanotechnologies Dr. Olga Rio Suarez, Managing Director ATTIKO METRO Theodoros Papadopoulos, Technical Chamber of Greece President Georgios Stasinos, as well as invited speakers from Portugal, Spain, France, Italy, Serbia, Sweden, UK, Denmark, Lebanon, Egypt, Germany etc. “ENERGY in BUILDINGS” is an International Conference that will take place for the sixth consecutive year. It brings together Engineers, Architects, Stakeholders, Academia and Professionals of different disciplines that contribute and advance the state of art of the built environment. 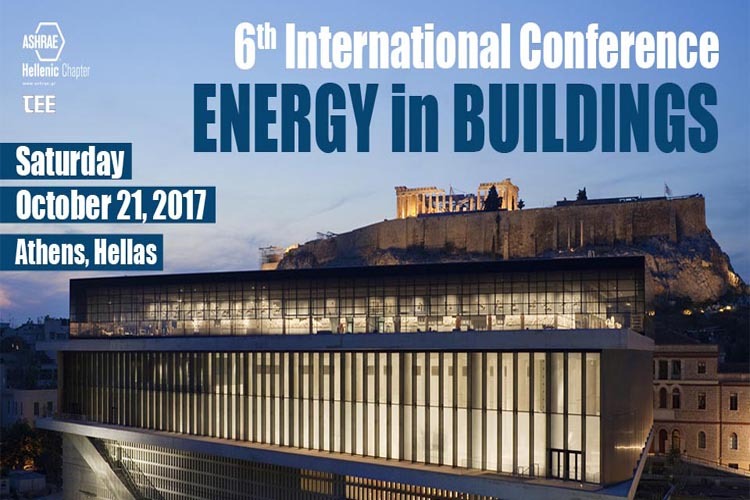 Information and videos from the previous conferences can be found at the Hellenic Chapter’s website (http://www.ashrae.gr). The official language of the Conference is English. The Conference will host accepted papers and posters as well as presentations, four case studies and workshops of invited speakers. The objective of this session is to provide an opportunity to exchange views on key areas of lighting, to present progress in technology and to discuss current and future challenges and perspectives. Areas of interest include, but are not limited to: Lighting Technology, Sources, Luminaires, Controls, Calculations & Measurements, Energy Efficiency & Economics, Standards & Legislation, Daylight Design & Control, Architecture Lighting, Lighting in Antiquity, Illumination of Archaeological Sites, Monuments & Museums, Human Aspects of Lighting. In total, more than 30 scientific papers, 14 posters, more than 18 invited speakers three interactive workshops, and four case studies will be presented in five parallel sessions. The conference will start with the plenary session, and also include matchmaking and exhibition of innovative companies. 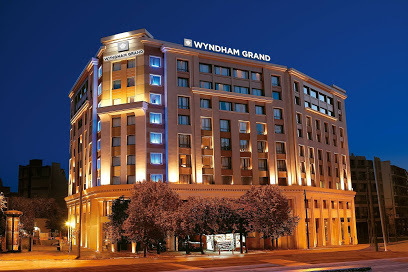 You can register online at http://ashrae.gr/REGISTRATION/ there is no attendance cost but registration is required. Under the aspiration of these conferences, a special Workshop will take place in a dedicated session. The Workshop’s theme is “Research and Innovation activities in nanotechnology concerning Energy Efficient Buildings”. The workshop will include presentations from H2020 projects funded by the European commission. REGISTRATION FOR THE EC WORKSHOP: Availability is limited to 60 participants, and any colleague who wants to attend must state it sending an email toEinB2017@ashrae.gr After the workshop an executive session for the AMANAC cluster and project coordinators will take place. A thematic workshop in the field of Heat Exchangers in Heat and Energy (Enthalpy) recovery will take place. The Workshop’s theme is “Heat Recovery, Enthalpy Economizers, Applicability, and Limitations”. Various Technologies and Patents of the Market and of Research’s departments will be presented, as well as the “tricks” used from them. A thematic workshop in the field of Building Lighting will take place in a parallel session. The Workshop’s theme is “Solar gains control and Buildings energy balance”. The workshop is designed exclusively for new graduate engineers (graduation in the last five years). REGISTRATION FOR THE WORKSHOP: Availability is strictly limited to 20 participants, and any colleague who wants to participate must register and be approved by sending an email to EinB2017@ashrae.gr.